Even if you are not familiar with Lil’ Kim, it’s easy to see that the controversial rapper doesn’t even look like herself. Her face is dramatically different, and it has caught the eye of just about everyone who has seen her recently. All you have to do is look at pictures of the entertainer from the past, and it is easy to see that something just isn’t right. Lil’ Kim is only 38 years old, but it’s not that she doesn’t look any older, it’s that she no longer looks like herself. She blamed the way she looks on the angle that was used to take the picture and even accused the use of Photoshop in altering her looks. She does not look like she gained weight even though her cheeks look inflated. She is shown in one photo wearing a black bustier that has her tiny waist held together with three belts beginning right under her bust line. 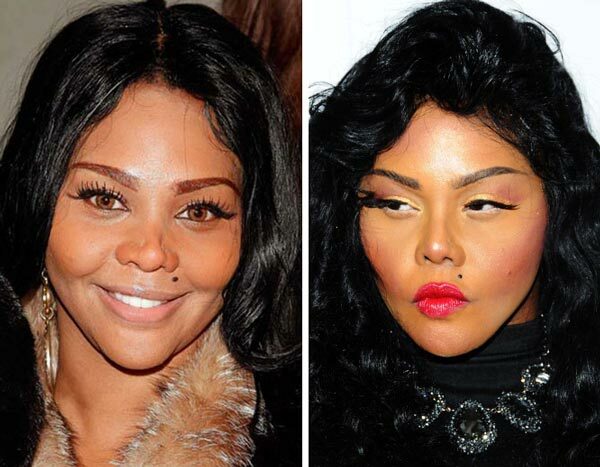 Williams tweeted that Lil’ Kim should stop blaming Photoshop and blame her plastic surgeon. Wendy really drew the ire of the unrecognizable singer when she said “I know your goal was always to look like La Toya Jackson. You’ve out-LaToya’d LaToya in your new look.” Kim stooped to a nasty low by bringing up the Wendy’s past relationship with the late rapperNotoriousB.I.G. She said that Williams was just upset because Big didn’t want anything to do with her. Not sure how this ties in with Kim’s plastic surgery, but it only adds fuel to an already flaming fire. It has been reported that Lil’ Kim had cheek implants, a nose job and injections to plump up her lips. After looking at the results, many people made comments that she looked like she had a face transplant. It’s one thing to have a procedure done to make you look refreshed, but when you change your looks completely, it’s hard to deny it. 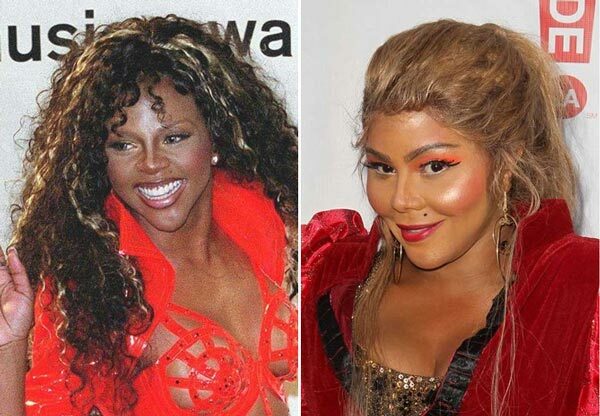 You don’t even have to be familiar with Lil’ Kim to look at her before and after photos to see that not only did she have work done, but something went terribly wrong. The only way this all makes sense is if Lil’ Kim is being placed in some kind of witness relocation program.